The phrase "tipping point" passed its own tipping point and caught fire after author Malcolm Gladwell's so-named 2000 book. It's now frequently used in discussions about climate change, but what are "climate tipping points"? And what do they mean for society and the economy? Scientists at Rutgers University and Harvard University tackle the terminology and outline a strategy for investigating the consequences of climate tipping points in a study published online today in the journal Earth's Future. "I hear from a lot of people in the general public who wonder whether we've passed a tipping point with respect to the climate, but frequently they don't know precisely what the term means," said Robert E. Kopp, the study's lead author and an associate professor in the Department of Earth and Planetary Sciences at Rutgers. "And that's on the scientific community. Oftentimes, we use the term in a way that doesn't quite jive with popular understanding." "In the climate science world, the consequences of what are sometimes called tipping points may take decades or centuries to play out," Kopp added. "By contrast, many people think, 'OK, we've crossed a tipping point now, something is going to happen quickly.' That's more consistent with the way the term was popularized, before it was adopted by the climate science community, and that's a terminological confusion we wanted to clarify." The authors recommend using the phrase "climatic tipping elements" to describe portions of the climate system that may be abruptly committed to major shifts as a result of the changing climate. 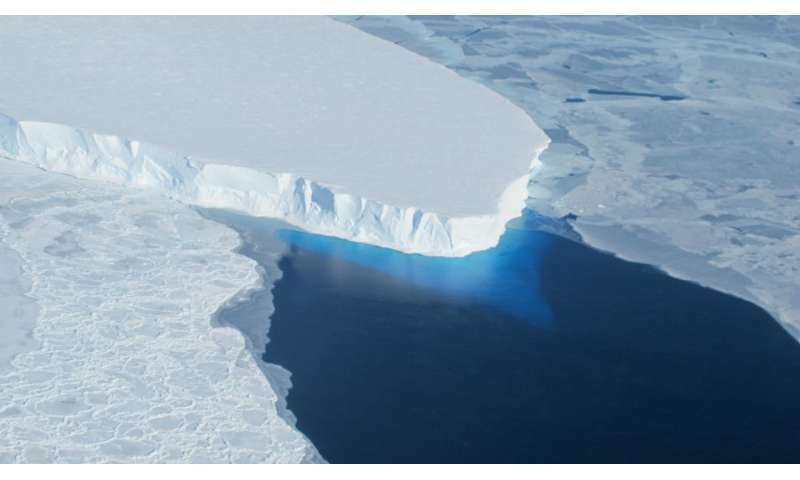 Arctic sea ice, the Antarctic ice sheet, and the Amazon rainforest are examples of elements to which the term may apply. They also draw a connection to "social tipping elements," such as public opinion and policy changes, technological or behavioral changes, mass migrations and conflict-development traps. Social tipping elements may be influenced by climate change. And some climate tipping elements and social tipping elements may have the ability to trigger economic shocks - large, rapid losses in a country's economic capacity. Civil wars, which are made more frequent by temperature extremes, are an example of a social tipping event associated with economic shocks. "We wanted to clarify the difference between a 'tipping point' the way that Malcolm Gladwell uses the term and a 'critical threshold' in a system, which may or may not lead to a quick change," Kopp said. "You cross a critical threshold with respect to the Antarctic ice sheet, which we may have already crossed, and we may be committed to multiple meters of sea level rise, but those may play out over centuries." Study authors include Rachael L. Shwom, an associate professor in the Department of Human Ecology at Rutgers; Gernot Wagner, a research associate at Harvard University's School of Engineering and Applied Sciences in Cambridge, Massachusetts; and Jiacan Yuan, a post-doctoral fellow in the Kopp-led Rutgers Earth System Science & Policy Lab. "We're worried about mass migration or increases in poverty and civil conflicts that lead to destabilization of societies following climate change," Shwom said. "That certainly will increase suffering among people." The literature on the costs of climate change often links climatic "tipping points" and large economic shocks that are often called "catastrophes," according to the study. The phrase "tipping points" in this context can be misleading because the subsequent changes can be either abrupt or slow. If the lag between crossing a critical threshold and an impact is too long, we may not notice until it's too late to do anything about it, Kopp said. If we notice that we've done something wrong, it may be possible to intervene and limit the damage. The authors propose a research agenda that advances the study of the social and economic consequences of climatic tipping elements, social tipping elements sensitive to climate change, and climate-economic shocks. Shwom wants to look into any cases where it looks like social tipping elements have been tipped and the underlying conditions. "There's been a lot of attention paid to climate tipping points where some major change in the climate happens, but this study gave me a chance to think about how social systems will respond to climate change," she said. "Social system tipping points can worsen or reduce the impacts of climate change."